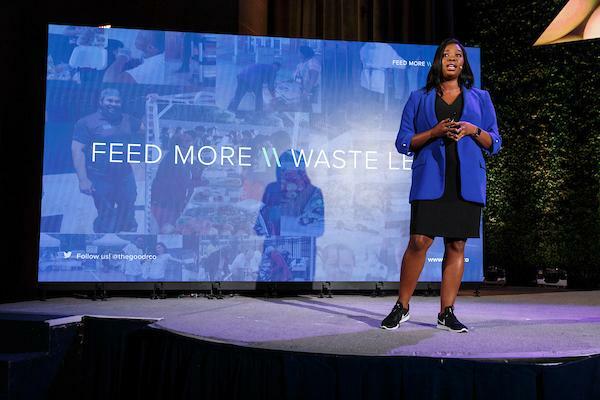 Jasmine Crowe is the CEO and Founder of Goodr, a tech enabled sustainable food waste management company with a goal to eliminate hunger and reduce food waste. 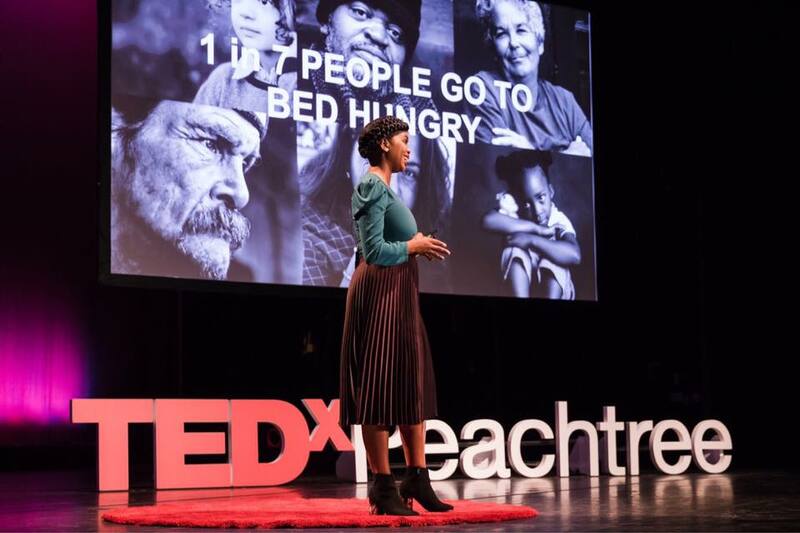 Under Jasmine's direction Goodr has now diverted over one million pounds of food from landfill and serves clients including: Atlanta's Hartsfield Jackson Airport, NFL, The Georgia World Congress Center and more. 72 billion pounds of good food ends up in landfills each year, while 1 in 6 people goes to bed hungry. I started Goodr in 2017 when I realized that if these two problems existed, then hunger must be a logistics problem, rather than a scarcity issue. When I first had the idea for Goodr, I barely even knew what the term AgTech meant. I just knew there was a problem that needed to be solved and started researching the way to close the gap between excess food and empty bellies. Fast forward a few years and we have diverted over 1M pounds of excess food into the communities that need it most. In 2018, we partnered with the busiest airport in the world, Hartsfield-Jackson Atlanta International Airport. Within six months, we were able to reduce their waste by 47%. Together, we diverted 85,000 pounds of surplus food from landfills, converted it to 82,000 meals and enabled the airport to claim an estimated $200,000 in tax savings. But it’s all because I had an idea and I ran with it. If you are thinking about starting an AgTech business, I have one huge piece of advice for you. I like to say “you can, you should and if you get started, you will.” Quit wondering about how it’s going to get done and just start. If it’s money that’s your concern, there are a number of venture funds that are especially looking for AgTech companies to donate to like AgFunder. If it’s the tech aspect that you are worried about, find a partner like AgTech Insight who is knowledgeable in that area. What, I’m saying is, where there is a will, there is a way. And that way is forward! 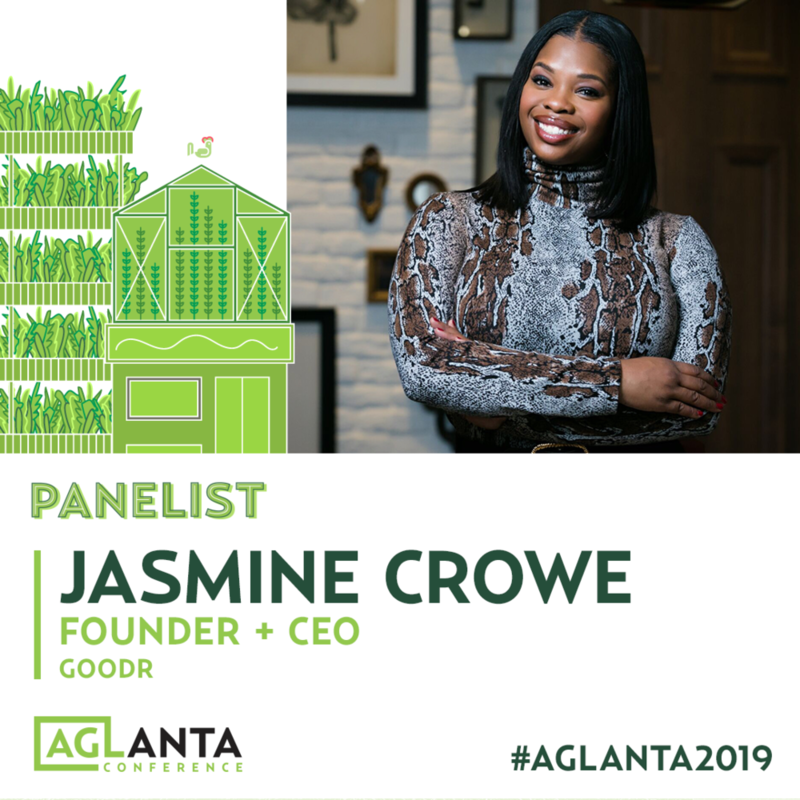 Meet Jasmine Crowe at The AgLanta Conference 2019! Jasmine will be speaking on Panel One CREATE | Getting From Ideation to Implementation. Urban farming entrepreneurs face a number of challenges getting started. Access to funding, settling on an operational strategy, and lining up appropriate sales channels can each be daunting and time-consuming. On top of this, urban farms are becoming increasingly diverse in both their objectives, approaches, and products. Our first panel of the day will explore this creation process by featuring four unique urban agriculture operations.